Large IT and digital companies have always been at the forefront of employee engagement. Google is well known for its creatively designed offices and innovation labs, and Apple brings colleagues together by supporting and developing their tech side projects. But what if your IT company or team wants to promote employee engagement, creativity and innovation and doesn’t have millions to spend on it like the tech giants? Cloud-based startups, SMEs and other rising stars are perfectly placed to be disruptive, and this ethos can feed through into a unique culture that attracts and retains the best IT staff. Since virtualDCS was set up by a founding team of IT innovators, doing things differently has always been a key part of the company genetics. Here are some of the ways that the company has pioneered on employee engagement. 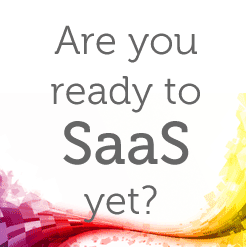 What began as a regular post-work coffee gathering between some of the UK’s top cloud computing experts has – ten years later – become one of the fastest growing IT companies in the North. The company founders all met through a shared interest in the opportunities that cloud computing offered, and a desire to share these opportunities with ambitious SMEs. virtualDCS was founded on the basis of providing high quality support and consultancy with a friendly “non-corporate” face. With 50% year-on-year growth for the past five years, this shared vision has proved to be highly successful. “Halfway through our life span, we took some time to focus on our mission statement and re-evaluate our priorities. At the time we were reluctant to take time out from delivery to do this, but we had some remarkable outcomes. Be dependable – We’ll do what we say we will; when we say we’ll do it. Continually innovate – We’re always looking to do things better in every business aspect. Be Collaborative – We will always work and engage with our customers to achieve their goals. Easy to do business with – Any action that we make is done to make our customer’s lives easier. Be an awesome place to work – We want virtualDCS to have a fantastic environment for staff and customers. After the team epiphany, virtualDCS immediately got rid of the boardroom table and replaced it with a pool table and more nights out. All the old company resources were sold to create a “staff fun” fund. The immediate knock on impact was staff retention. The business started to introduce long time service rewards. More than half of the staff has now been with virtualDCS for more than five years, which is unusual for such a young company. From a tech perspective, it is relatively simple for tech startups to grow their offering and disrupt market leaders. From a market perspective, it’s about differentiating from the competition and being seen as the best. At virtualDCS we always talk about “WACD” (what Amazon can’t do, what Azure can’t do) to try and stay competitive. We’ll never compete with the big guys but we are always searching for the gaps that need bridging, the issues that we can solve for clients who work with them. 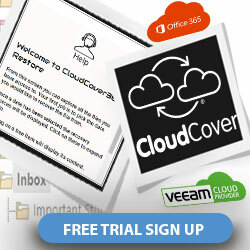 As a Veeam partner, we already have a unique offering. Our growth plan is to reach out to people already using Amazon and Microsoft Azure and help them with the workloads they can’t put there. By focusing on our niche, we can become successful in our own right. This approach makes us attractive to potential employees that have the same interests, ethos and values as us. So when we run a recruitment campaign, we have a pool of brilliant candidates that we know will be a great fit for the company – and they are more likely to stay with us (and they do!). 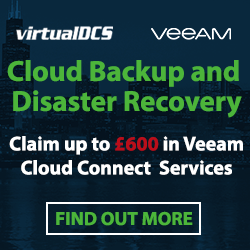 If you would like to work with an innovative and specialist Veeam UK partner with additional expertise in Azure (and Veeam offices based in the UK), give us a call on 03453 888 327 or email enquiries@virtualdcs.co.uk.